St-Martin or St Maarten (depending which side of the island you are on) is widely known for incredible beaches, sweeping ocean views, gorgeous sunsets and some of the friendliest people around. The island is widely visited by tourists from around the world making it one of the most visited places in the Caribbean. On September 6, 2017, one of the strongest hurricanes in history made landfall. The devastating damage of Hurricane Irma was felt across parts of the United States all the way to the Caribbean islands. Catastrophic winds and extreme flooding caused irreparable damage to some of the world’s most beautiful destinations. 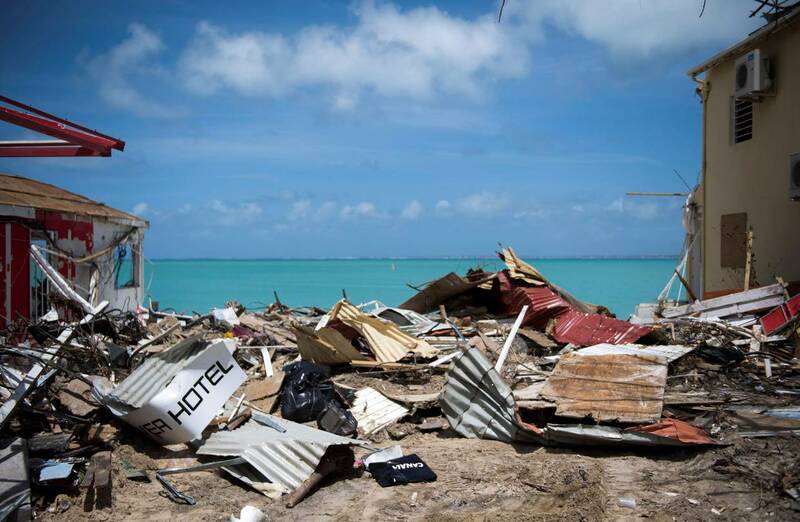 During this disaster, Irma hit the “friendly island” of Saint Martin head-on, resulting in numerous casualties. Many parts of the island were left completely destroyed. Suddenly, one of the Caribbean’s top destinations was paralyzed. Mass devastation in Saint Martin as Hurricane Irma hit. However, in March 2018, just six months later, commercial flights from across the world began to steadily arrive in this resilient, tropical paradise. In just six months, the island was ready to welcome visitors with open arms. In October 2018, the island’s main cruise port was fully operational, with nearly 1 million visitors since Irma wreaked havoc. The strength of the island and its people proved that Irma was going to stop the island from coming back. Julian Price, the founder of SXM Festival, had a unique relationship with the island having spent a lot of his time there with his family when he was a child. 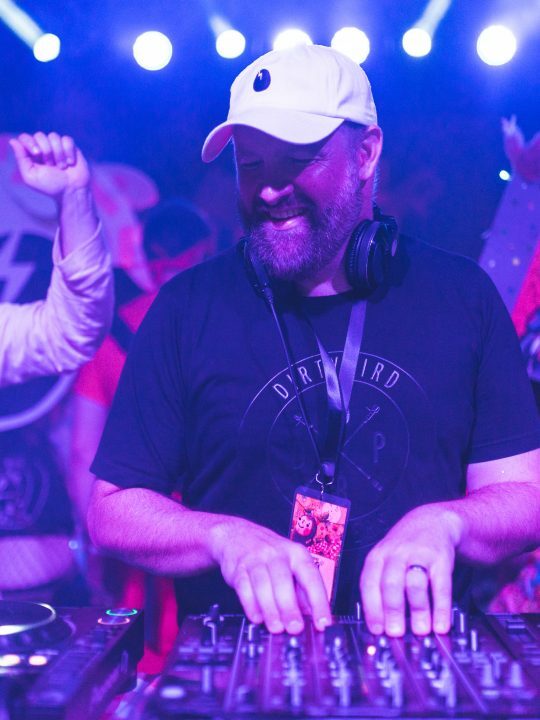 His love for music and the island of St. Martin is what led to the birth of SXM Festival, a boutique house and techno festival spread across multiple venues on the island. 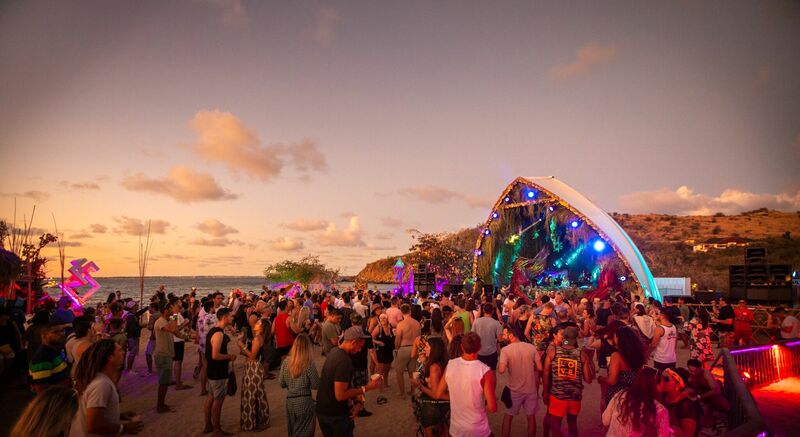 In 2016 and 2017, the festival brought the likes of Jamie Jones, Black Coffee, Nina Kraviz, Bob Moses and many more to the tropical paradise. However, because of the devastation of the island in 2018, the festival was not quite ready to return. 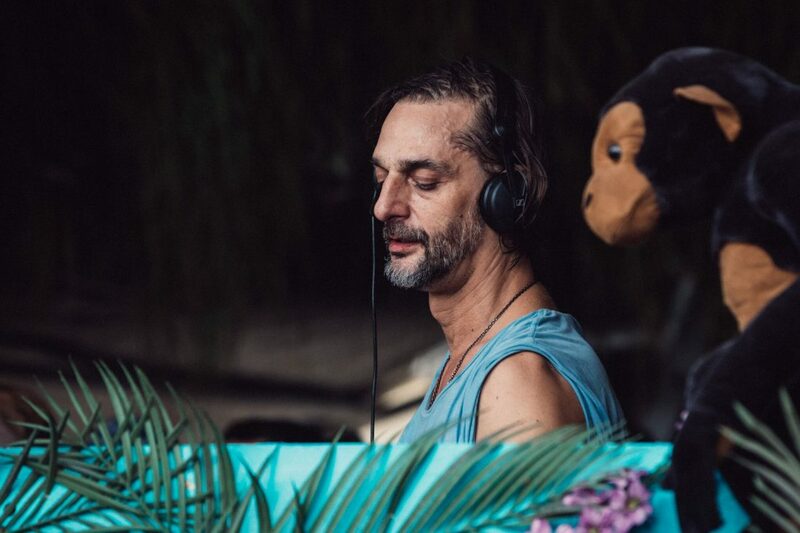 Ricardo Villalobos kicks off a 7AM set at Happy Bay, the festival’s main venue. With the disaster that was the FYRE Festival, it is without a doubt that selling a boutique festival in the Caribbean is no easy feat. The post-FYRE debacle has made it harder for festivals to pitch exotic experiences without the thought of FYRE in the back of people’s minds. It was no easy challenge, but SXM was focused on building on the experience that they created a few years prior with the support of the local people. The focus was on giving back to the community, and not ticket sales. SXM also received resounding support from the Director of Tourism, who was excited to see the festival’s return. SXM Festival returned from March 13-17 and is now arguably of the world’s most unique, and carefully curated festivals. When we touched down in Saint Martin we were immediately greeted with a complimentary drink and music just outside of the terminal. The SXM staff were extremely welcoming and thanked us for making the journey. The pride in the festival and island was immediately palpable. The festival itself was spread across the island, and the main venue was on the “French” side of the island which was about 30 minutes from the nightclub venues and the airport. The main venue was situated on a private beach with two carefully designed stages using reclaimed local materials, a beautiful nod to the island which had welcomed us after the hurricane. Towards the last few days of the festival, the main venue stayed open for more than 24 hours as professional party people danced through the stunning sunsets and striking sunrises. Craft cocktails and massages were all available to attendees as they danced through the day (and night). Happy Bay main stage, the beach venue for week-long SXM Festival 2019. The first night included a beachfront dance party which turned a local bar and restaurant in a dance floor. An unexpected preparty signaled the craziness of the week ahead. 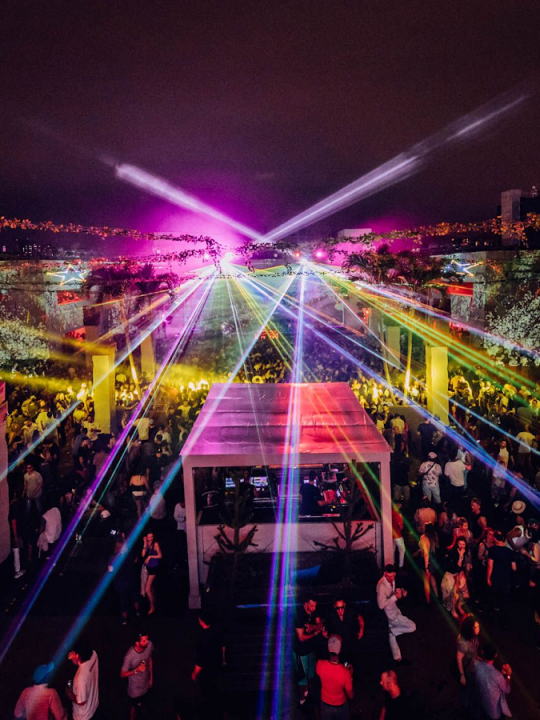 The festival officially kicked off on Wednesday at the main venue, and Nicole Moudaber playing from 2am to 5am at Refuge, one of the island’s local hotspots. 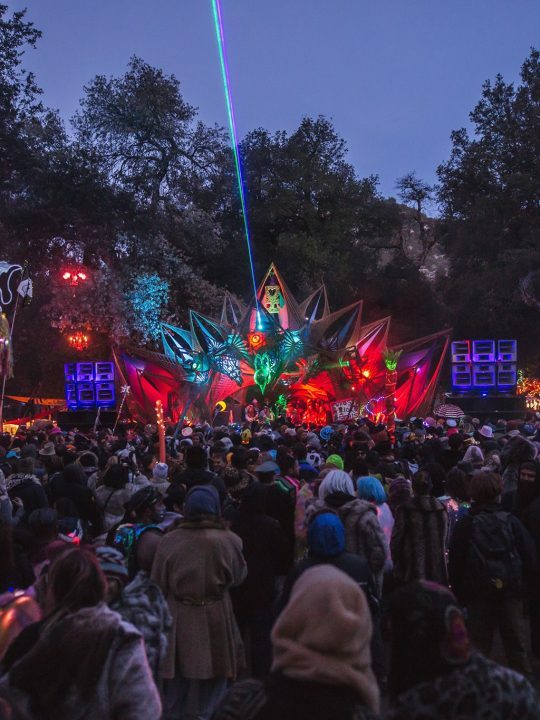 The ability to go from the party at the beach to the nighttime venues made this festival incredibly unique. There was always a party somewhere, and there was always something to do or see. If you needed a break from the music, there were plenty of activities to do. My friend and I kayaked to Pinel Island (French side) and enjoyed fresh lobster for lunch, filling our bellies before the madness. 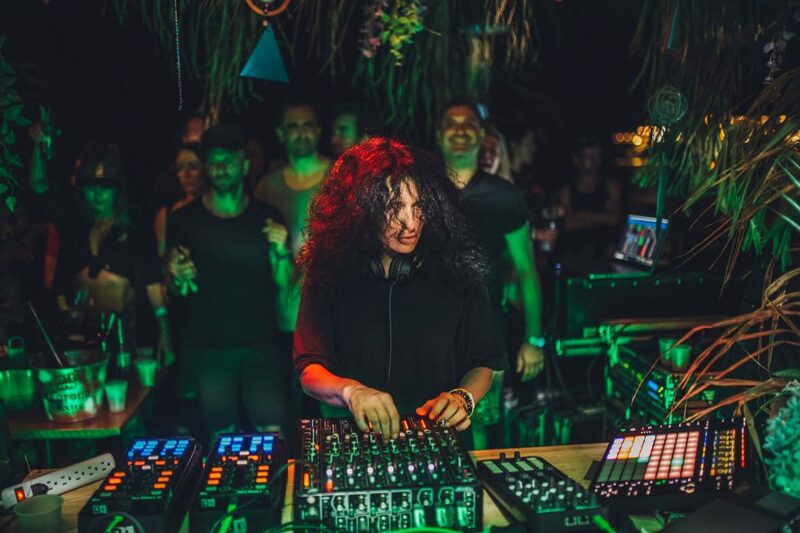 Techno queen Nicole Moudaber brings dark to techno SXM’s afterparties. As people from across the world made their way to Saint Martin, the island became electrifying. Locals were joining in on the party at every corner, and there were smiles all around. The locals were particularly impressed with how organized the festival was, and how friendly the foreigners were. We spent quite a bit of time with the Director of Tourism, Rolando Brison, who could not stop smiling from ear to ear throughout the weekend. He was quite delighted to see Saint Martin “back on the map” and was even more excited about the music that had returned to once again. As the festival went on, attendees had to chance to experience boat parties, Jungle parties, and even an incredible Villa party that overlooked the island. Tickets were available for all of these activities for those that wanted to enhance their experience, and weren’t just for VIP ticketholders. The villa party was straight out of a Hollywood movie, minus the fake people. We were shuttled through a private estate to a stunning villa on the top of a hill with priceless views. There was incredible music and beautiful people everywhere, dancing and spreading the love for house and techno music. It was a sight to be seen. The organization of the parties and the event as a whole is a strong testament to the quality of this experience. Not a detail was missed. The VIP Villa party with sweeping views taking you into the night of SXM Festival. Throughout the weekend we danced, we smiled and dance some more. From nightclub venues on the island to privates beach parties to watch the sunrise, to unreal villa parties, SXM rose from the ashes despite Irma’s calamity. After Irma hit (and you can still see the destruction throughout), the festival returned for a celebration of the island, music and it’s people. It had become clear why this festival is unlike any other. Embedded throughout the festival was a strong sense of hope and strength, and everyone we met on the island treated us like family, especially the locals. They drove us around, bought us drinks and danced with us expecting nothing in return. The ethos of this festival is about spreading love while enjoying one of the world’s most idyllic surroundings. While we were sad to come home, we are forever grateful for the people and the music that made this festival an incredible experience. The warmth of the people and the island will definitely stay with us forever. The festival is slated to return in 2020, and I hope you’ll join us. I promise: it’s anything but FYRE.